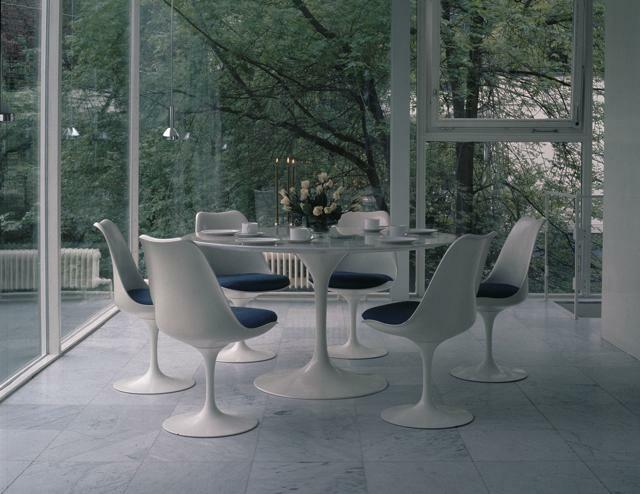 Eero Saarinen was Born in Finland in 1910 and moved with his family to America in 1923. From 1929 to 1930 he studied sculpture at the Academie de la Grande Chaumbre in Paris and from 1930 to 1934 he studied architecture at Yale University. Thereafter he worked at his father Eliel Saarinen’s practice in Ann Arbor, Michigan, and during the 40s became a partner with J. Robert Swanson. In 1950 he opened his own office in Birmingham under the name Eero Saarinen and Associates. He first achieved acclaim for his winning entry in the competition for the Jefferson National Expansion Memorial (1948) in St. Louis, a project in which his father also participated. 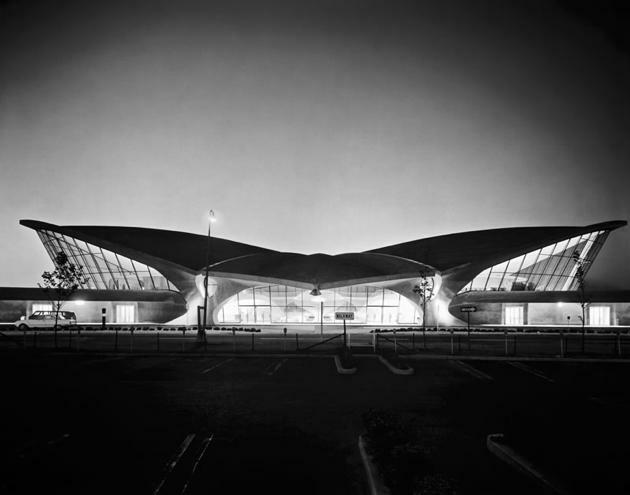 (1956-62) at John F. Kennedy Airport in New York, the hovering pavilion roof at Dulles International Airport in Washington, D.C. (1958-62), and the John Deere and Company Administration Center (1957-63) in Moline, Illinois. After Saarinen’s death in 196 I, his colleagues John Dinkeloo and Kevin Roche ensured that unfinished projects were completed and continued to keep the Hamden, Connecticut, office in his name until 1966.